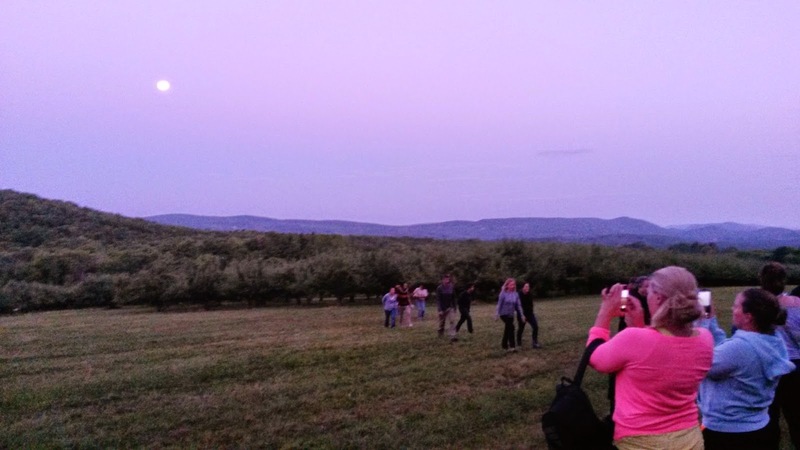 I led the monthly Full Moon Hike Saturday for the incomparable Holly Brouker who usually leads it. She had to be away and asked me to sub. It's the "supermoon" this month, closer to the earth and brighter than usual. The weather was perfect, the sky clear and the moon was awesome! It was so bright that we clearly saw our shadows and were able to see the variations of light and dark on the moon's surface with our naked eyes and even better with the binoculars that I brought along. 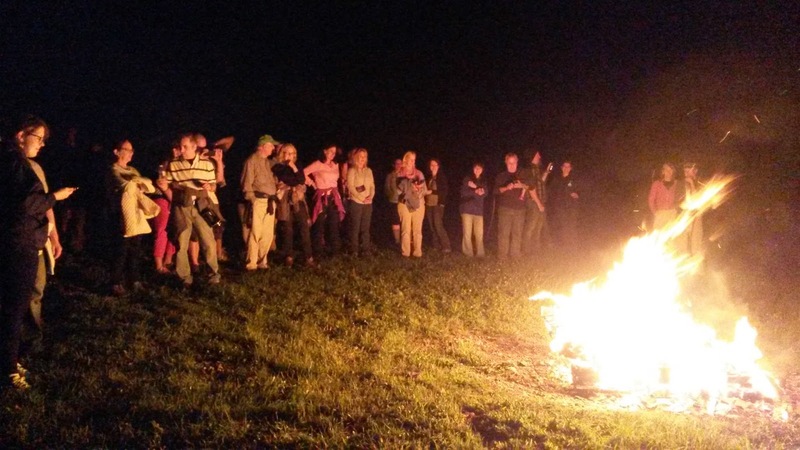 There were 59 of us enjoying the night and wide, mowed hiking trails, howling at the moon and watching the bonfire. Then we went inside for wine and live music. What could be better than that? I definitely have to get outside more at night! We're at the top of the orchard in the twilight. The moon is already prominent in the sky. A bonfire is always special!